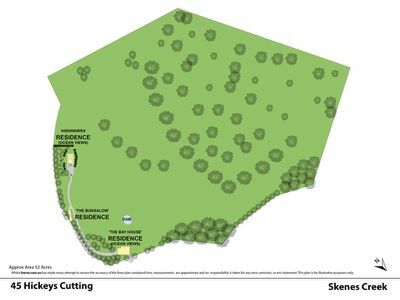 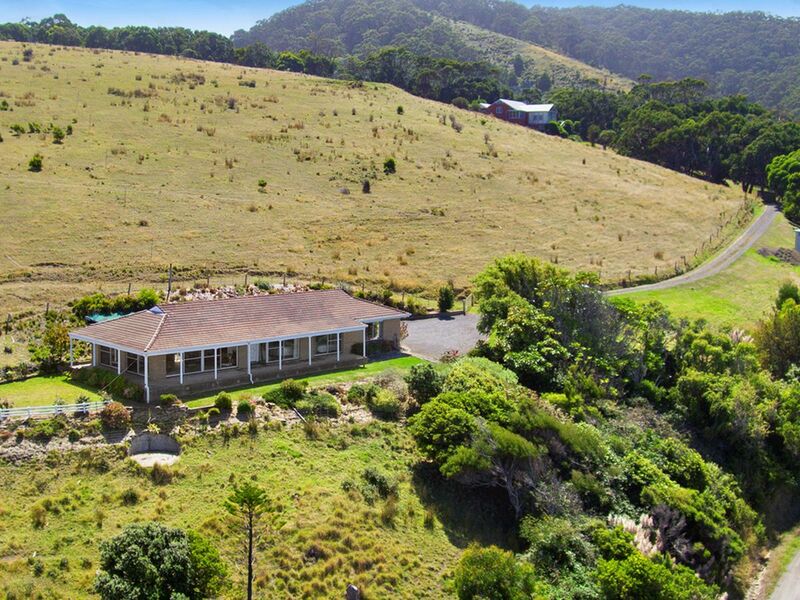 Perched on an elevated 52 acres (approx.) 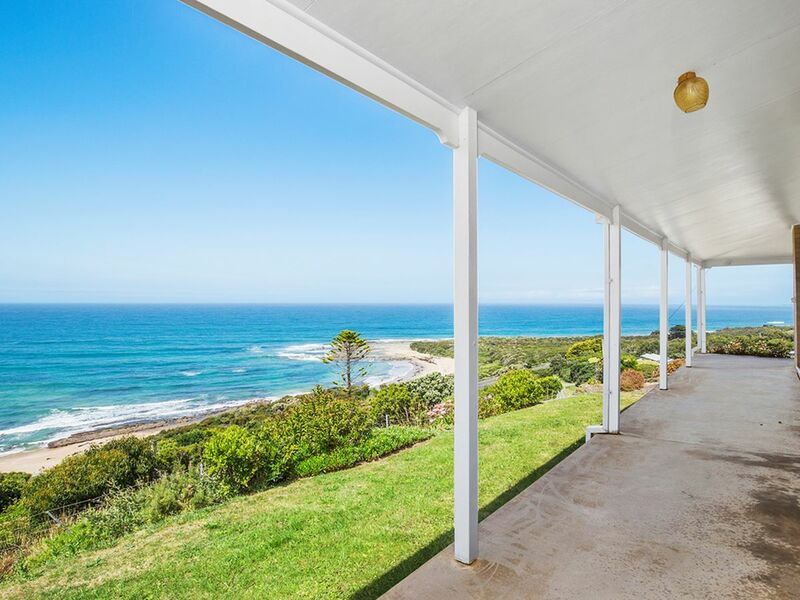 block, this truly unique holding offers permanent stunning uninterrupted ocean views that will mesmerise. 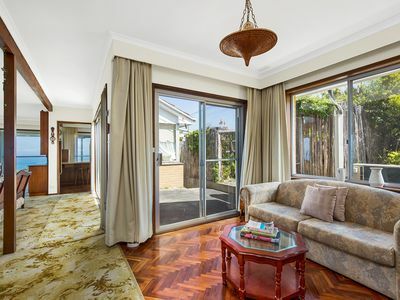 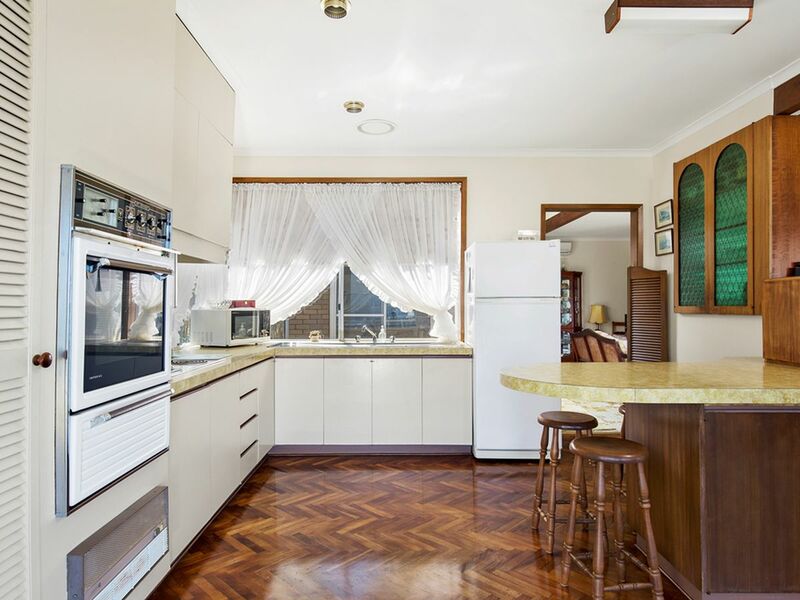 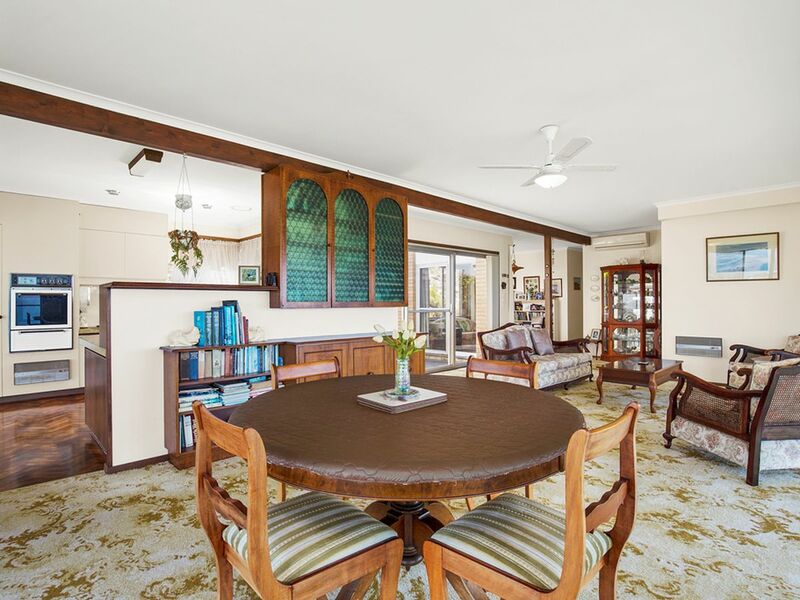 Combining two residences and a bungalow, this property affords astute buyers many possibilities of accommodating extended family and friends, or the immediate return of a lucrative rental return. 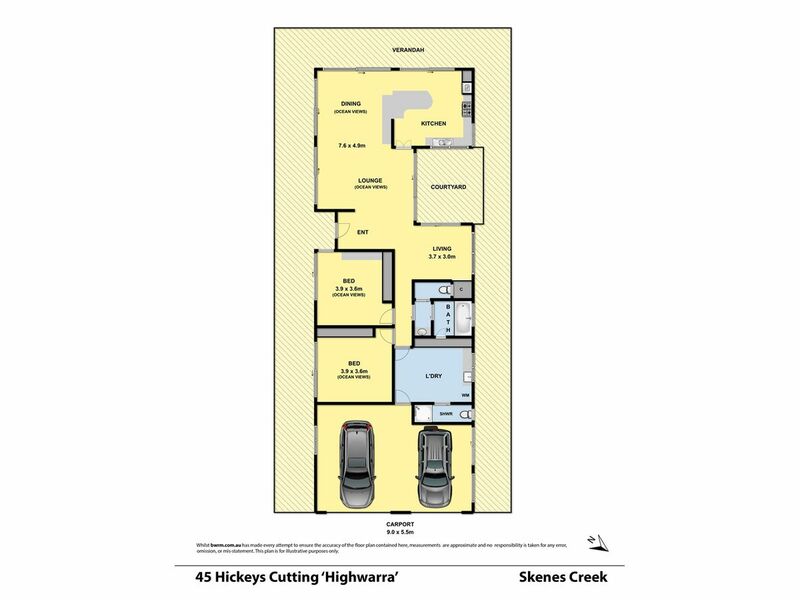 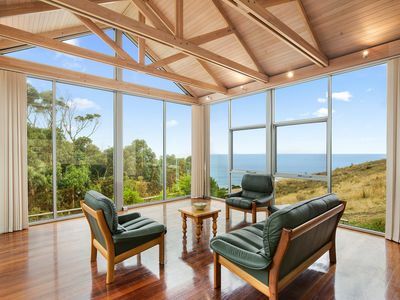 "Highwarra", the original home, is designed to capture breathtaking vistas from every room, including the kitchen, lounge/dining, family sitting room and both generous bedrooms. 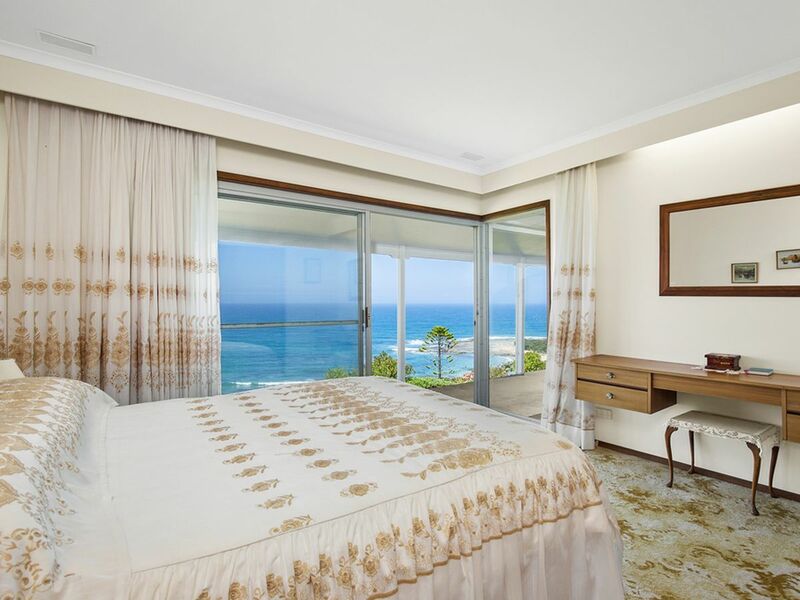 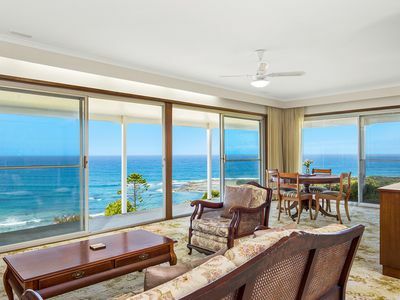 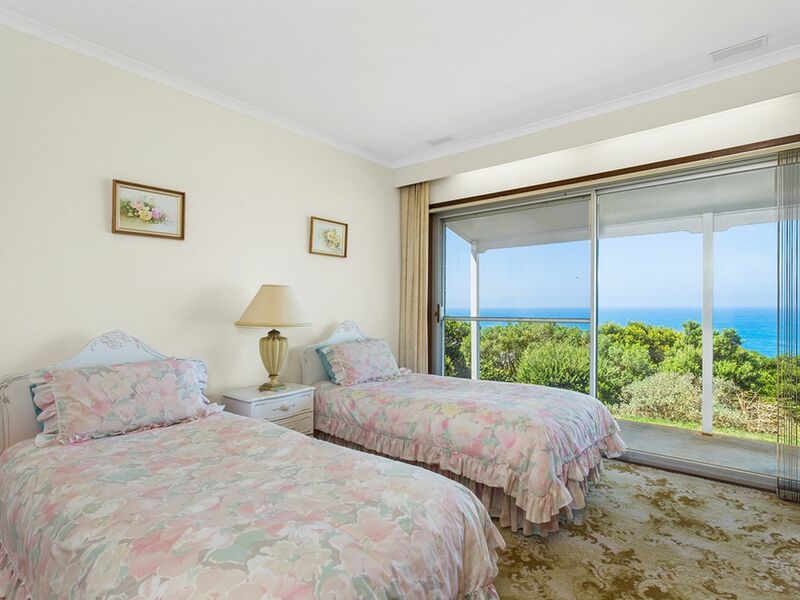 Open the sliding glass panoramic doors in each room to bask in the stunning water vistas and hear the waves crashing. 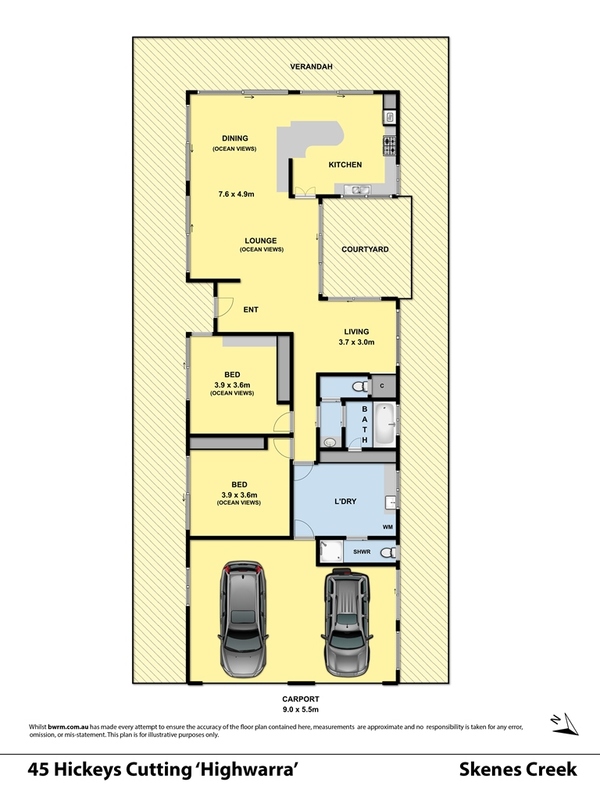 Also included is bathroom, two toilets, and a double carport. Perched further up the rise is "The Bay House" meticulously built in 2000, again to take full advantage of the breathtaking setting. 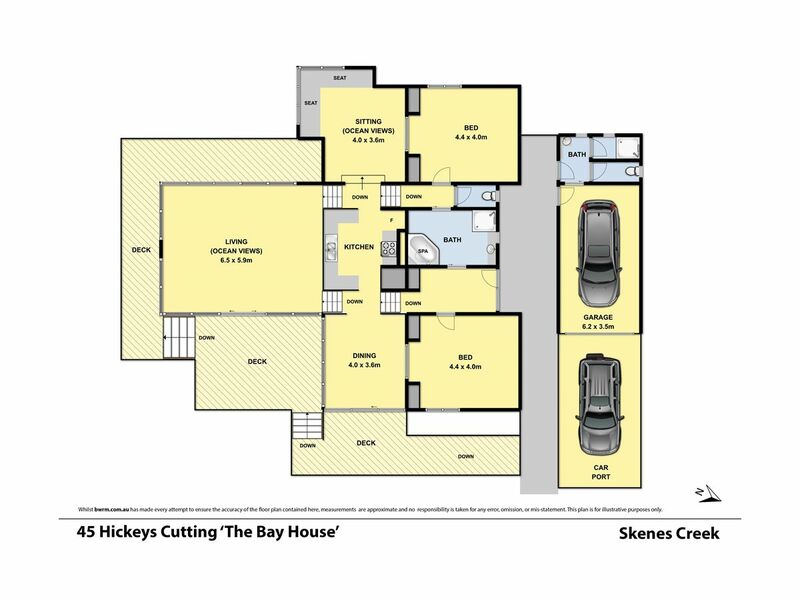 Cleverly designed over three levels, the home provides open plan kitchen/living and dining, a second family area, three extra-large bedrooms and spa bathroom. 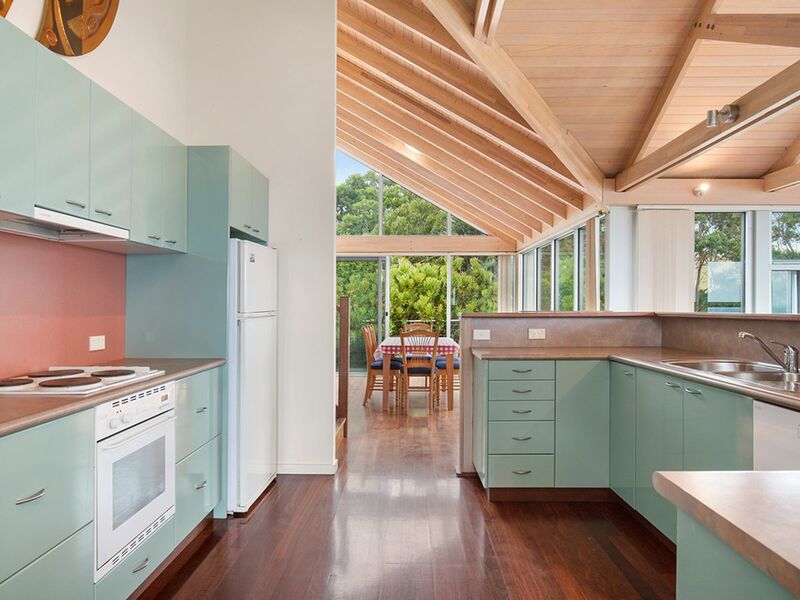 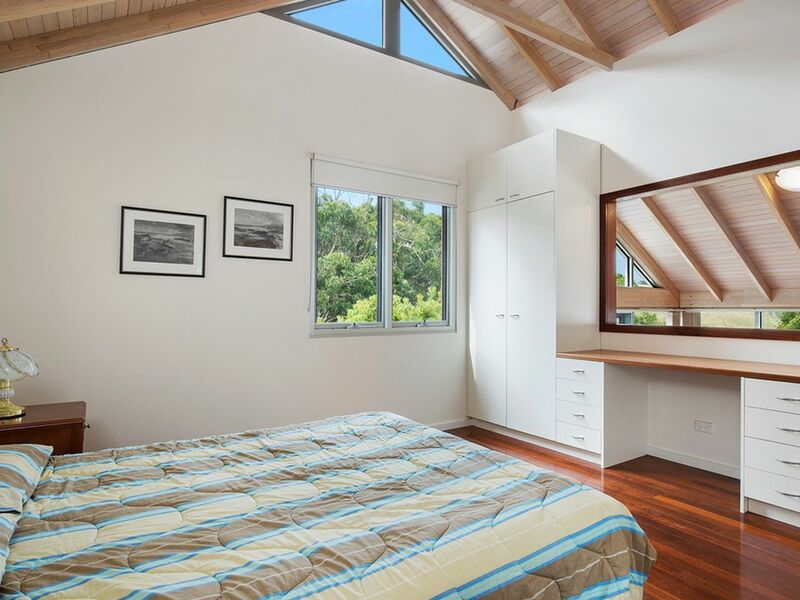 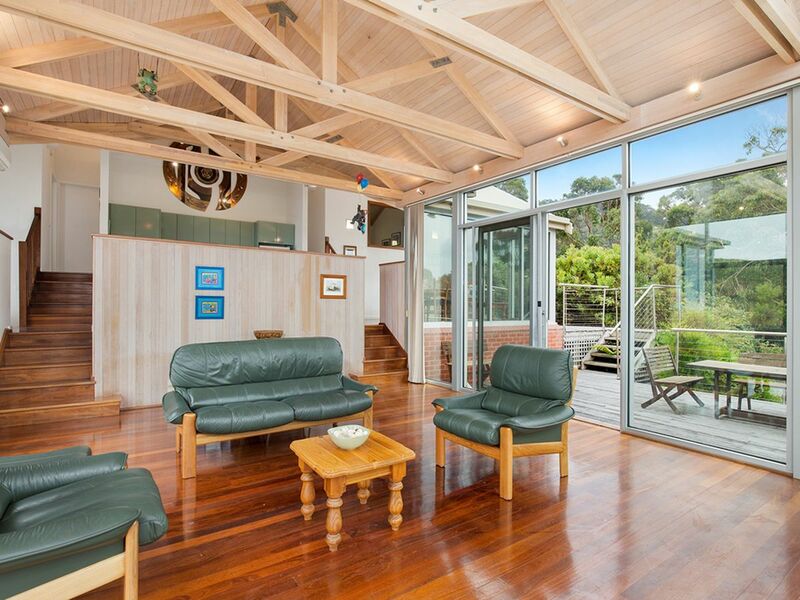 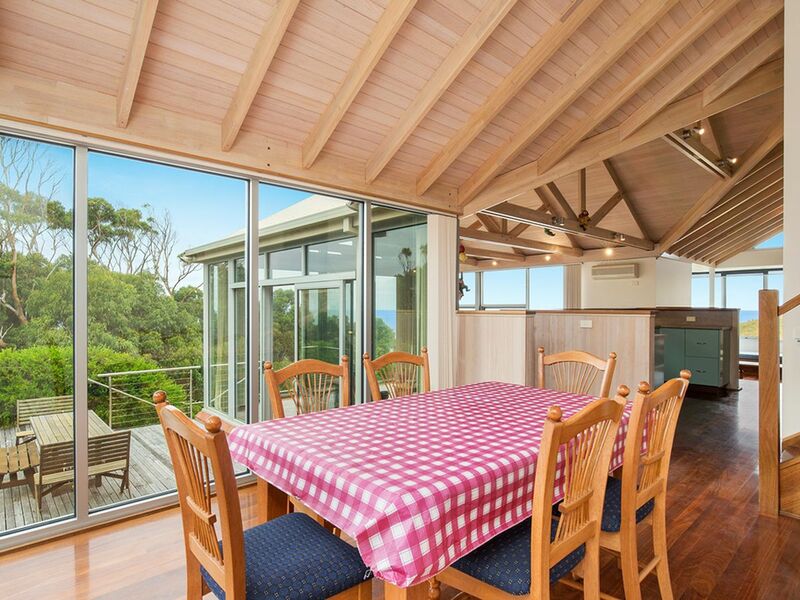 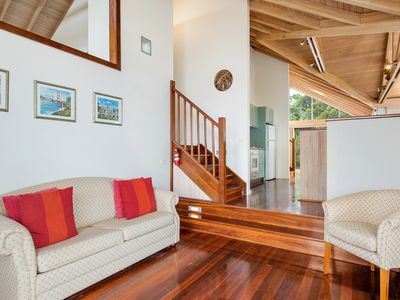 The exposed trussed ceilings, together with rich solid timber floorboards throughout, give this residence a warm homely beachside feel. 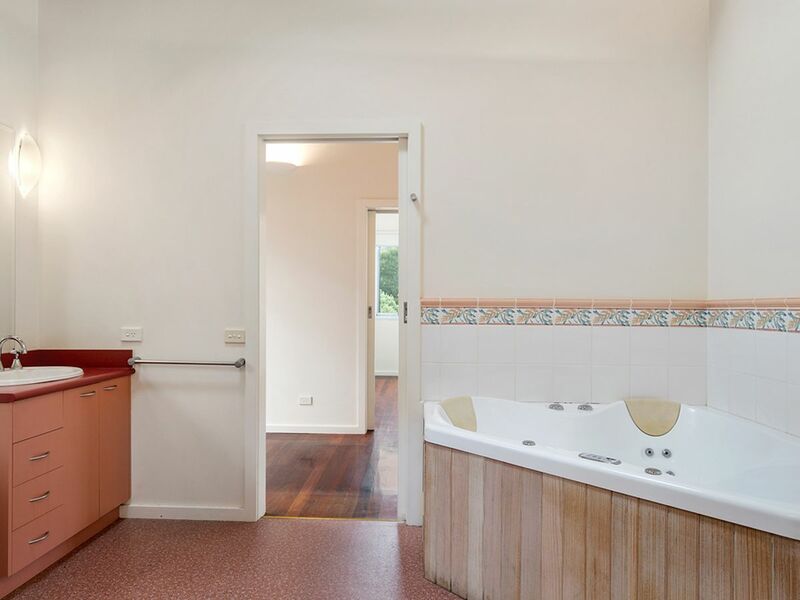 Also included are two split air-conditioners, carport, outside wash room, and extensive storage/cellar underneath. 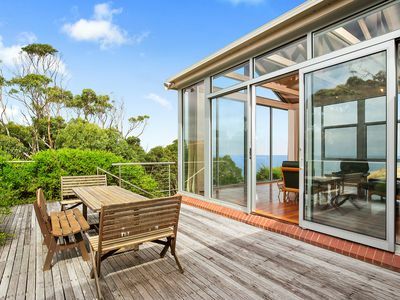 All this surrounded by an extensive alfresco decked area, accessible from floor to ceiling sliding doors. 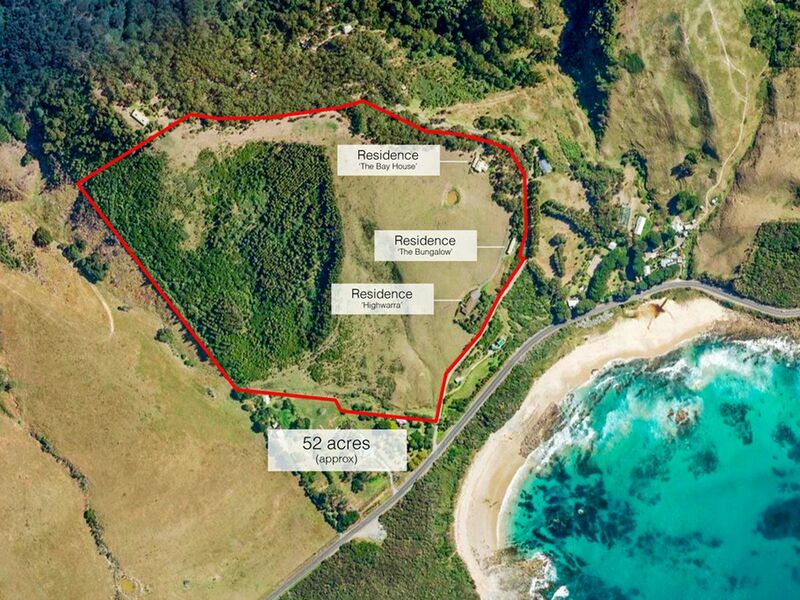 This property is currently leases giving a return. 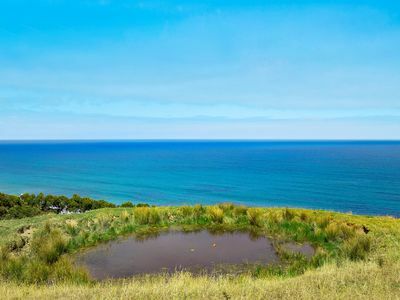 Town water is connected to both homes, plus tank water back-up. 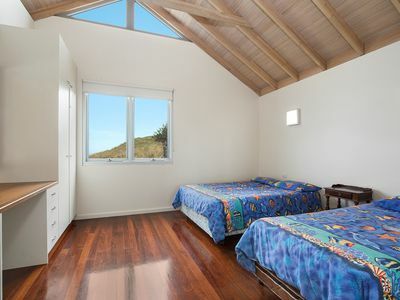 Also a one bedroom self-contained bungalow on site. 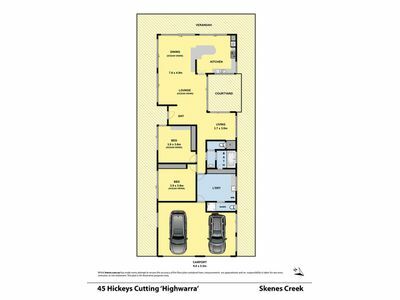 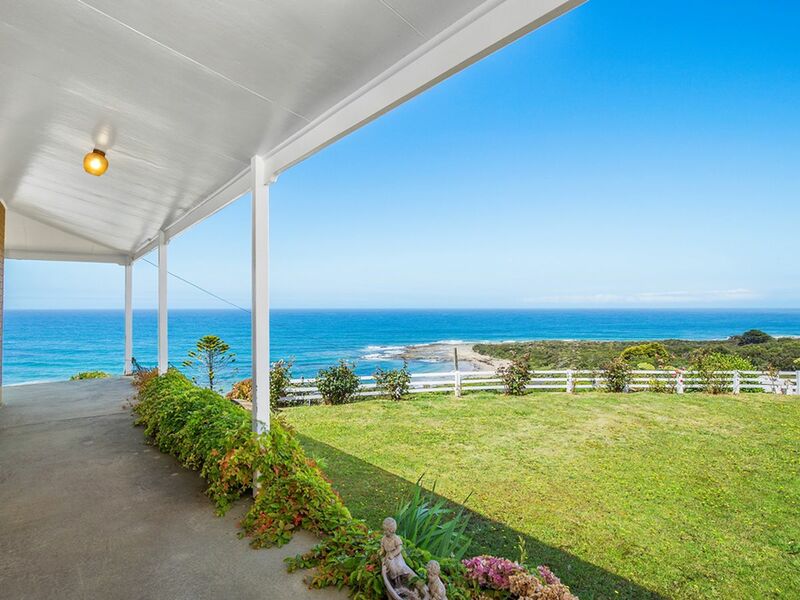 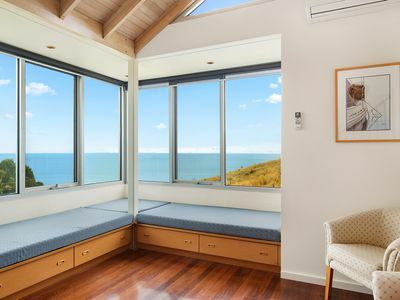 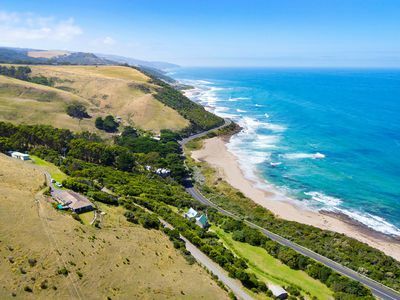 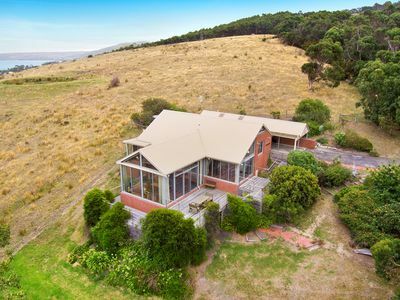 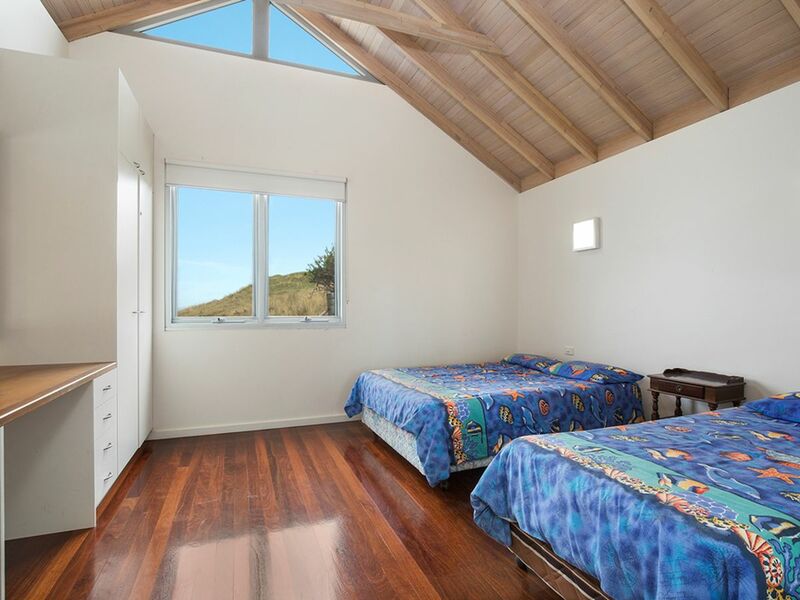 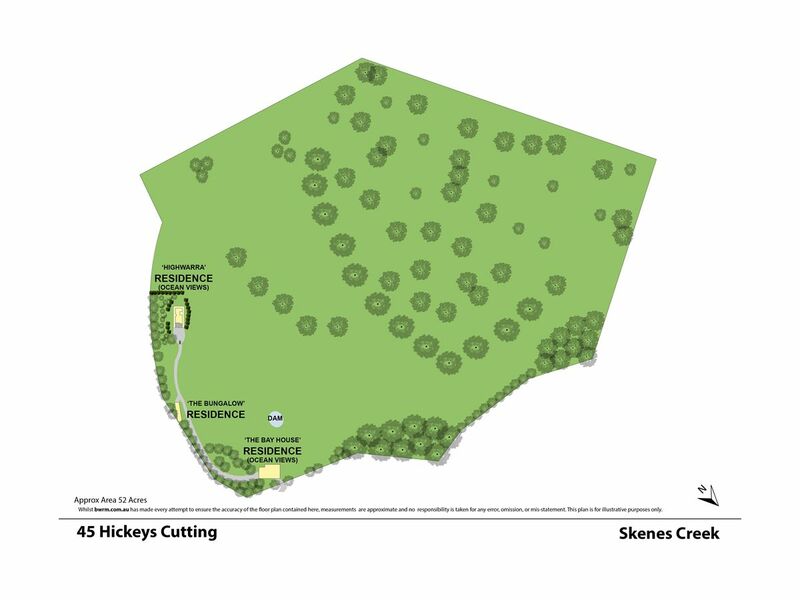 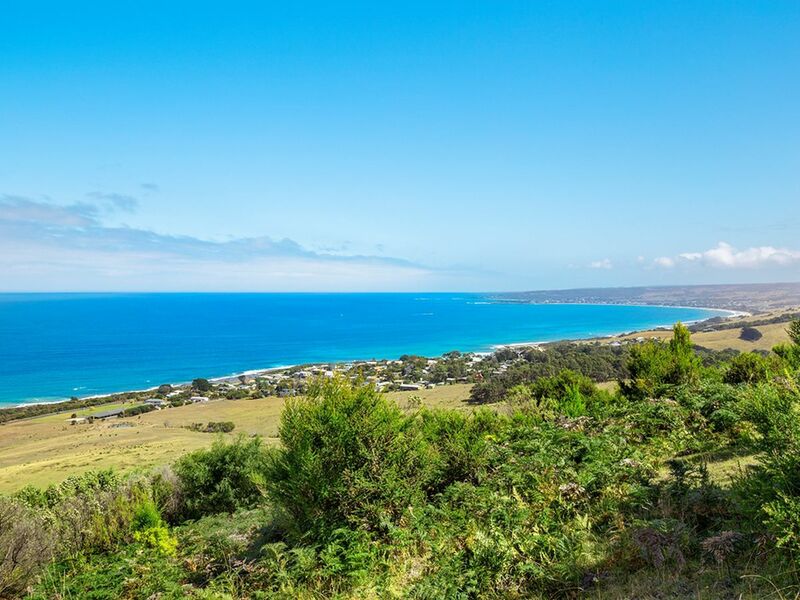 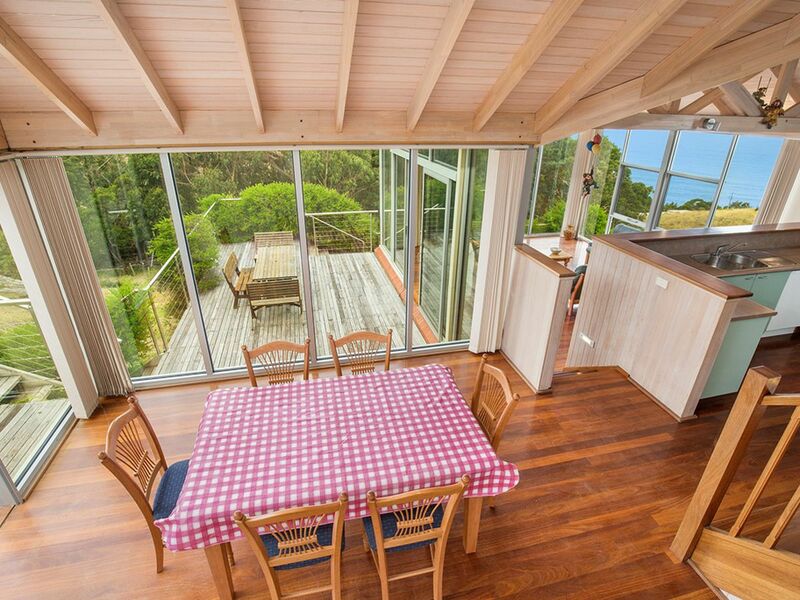 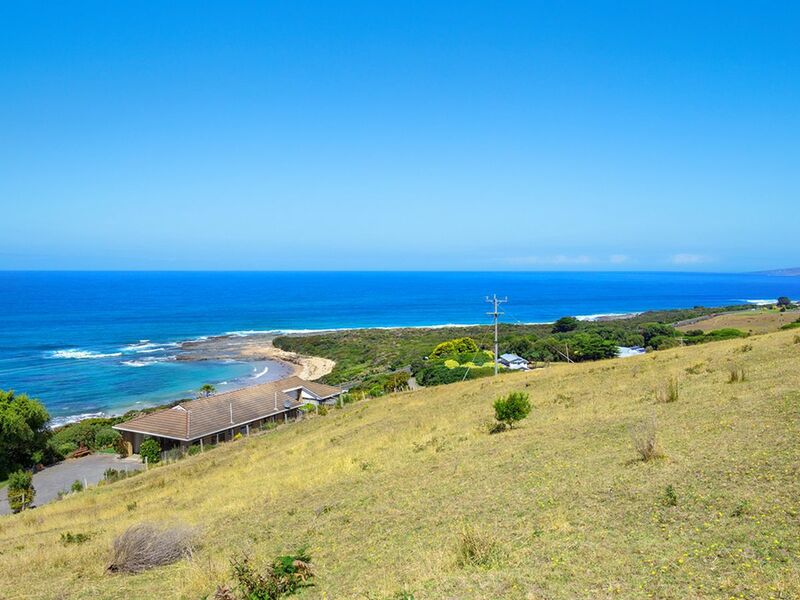 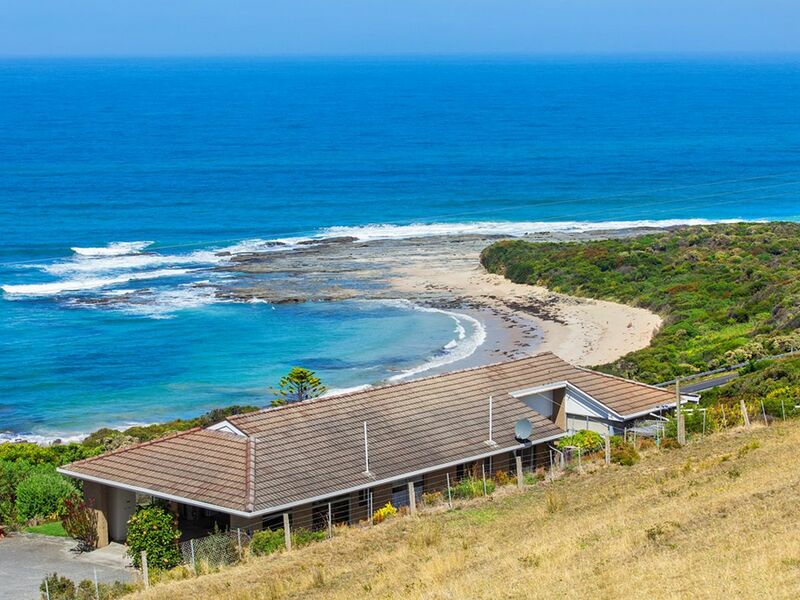 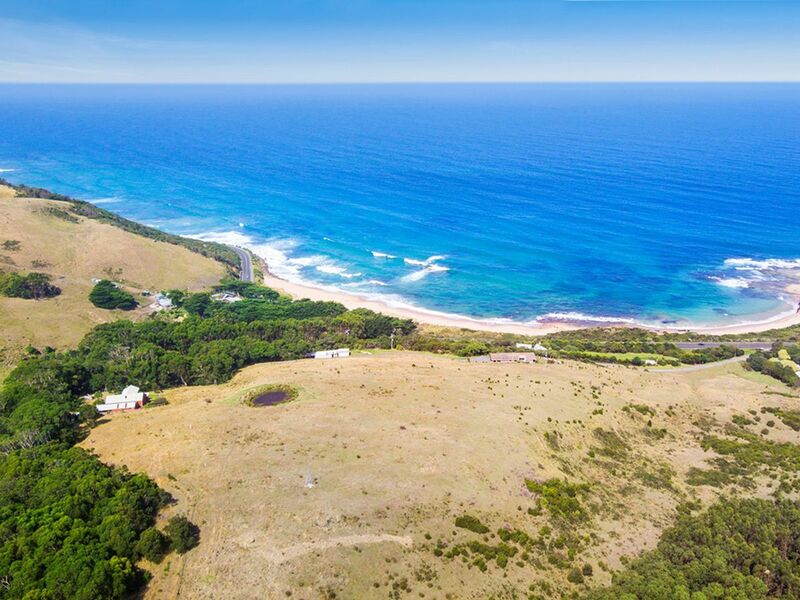 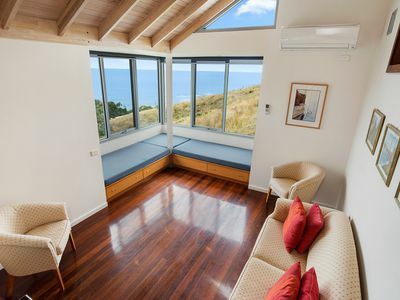 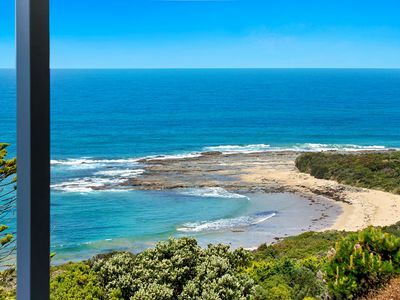 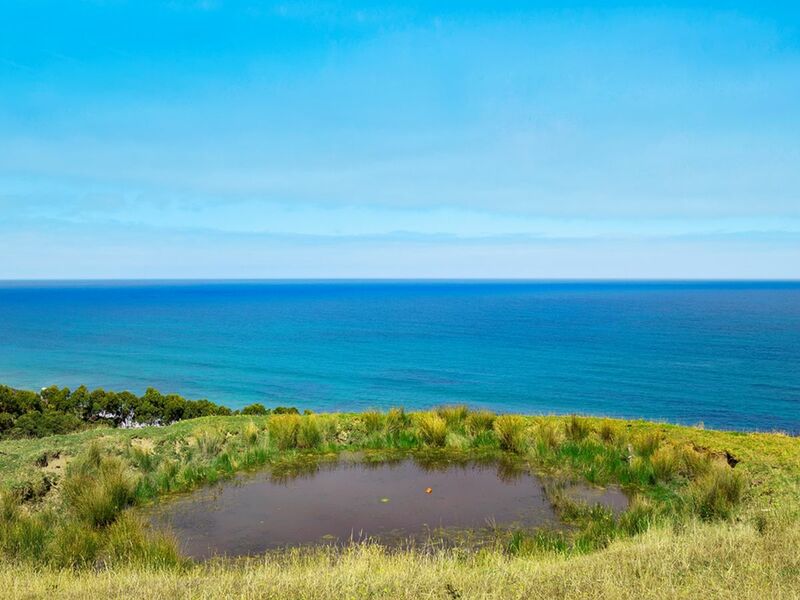 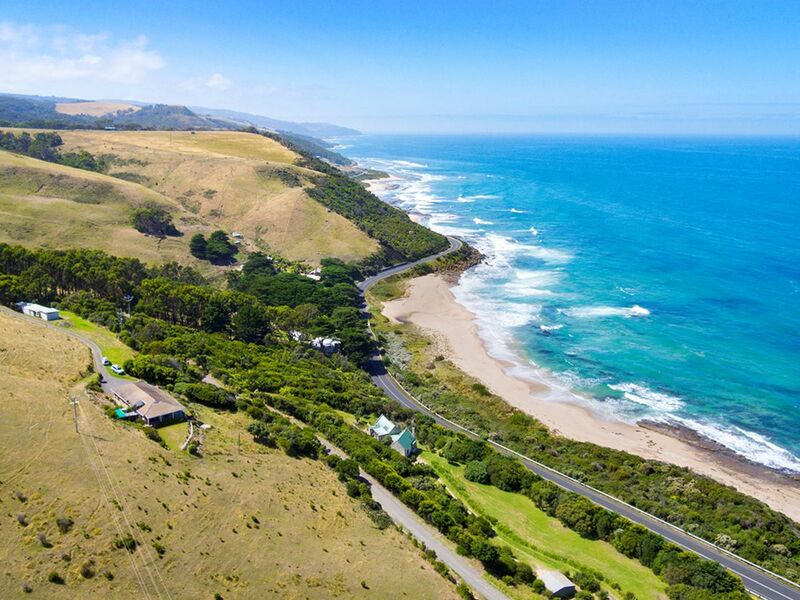 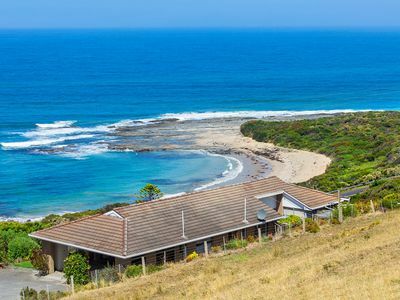 Acreage includes a blend of pasture and natural bushland, and from the peak enjoys spectacular panoramic views over Skenes Creek, Apollo Bay and beyond. 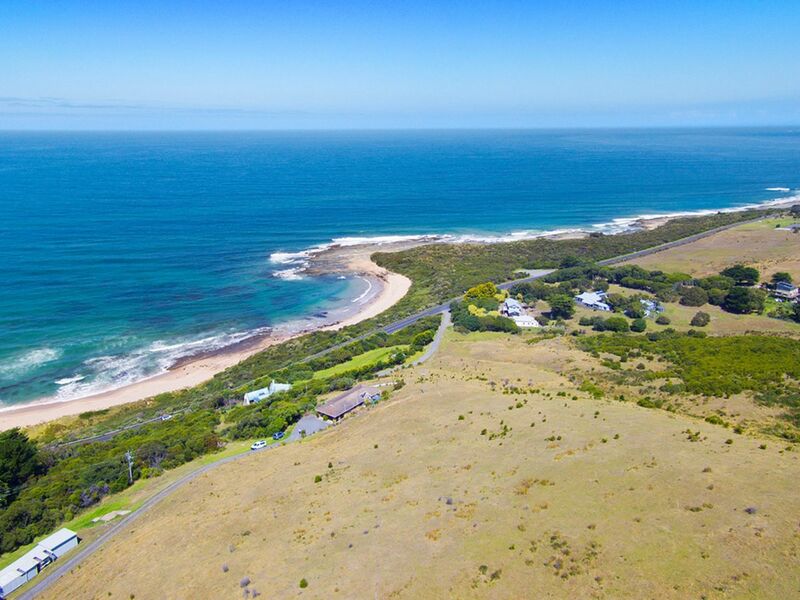 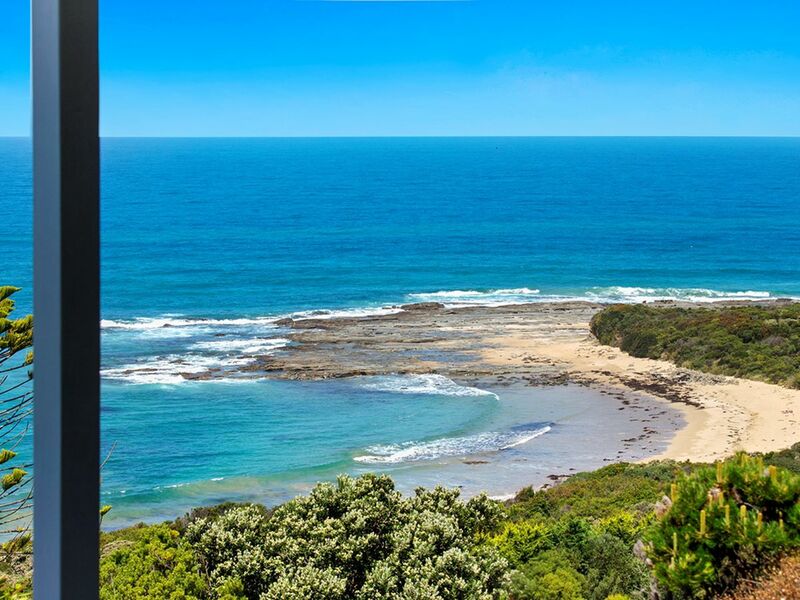 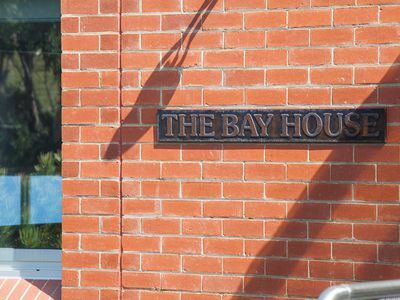 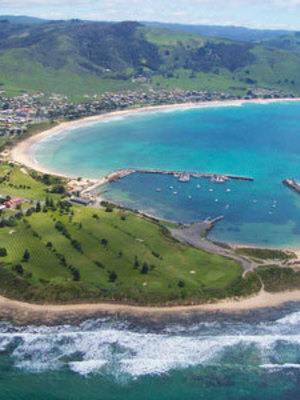 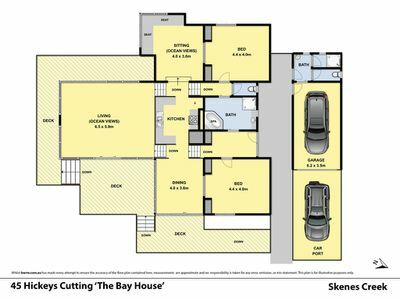 In all, this is truly a very rare opportunity to enjoy an idyllic coastal lifestyle envied by many. 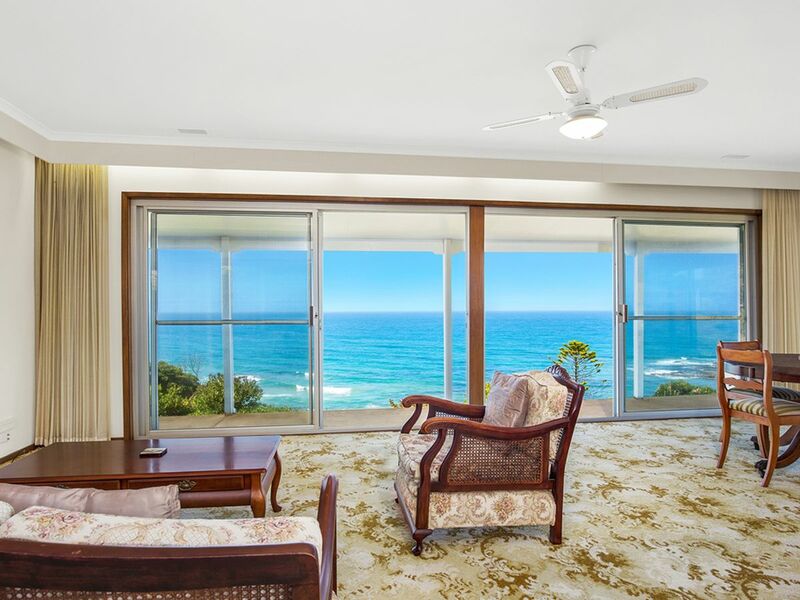 Motivated vendors- price reduced from $2.35m to $1.75m!